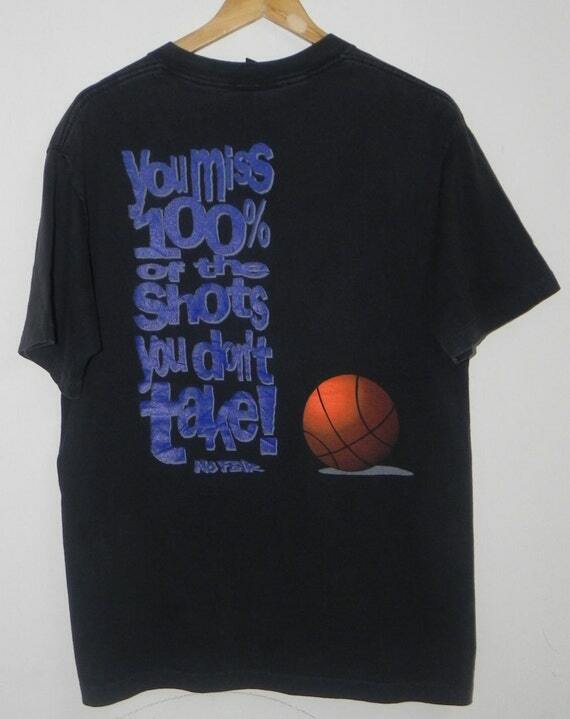 If you grew up in the 90s or had a teenager that did, you remember the NO FEAR shirt line. I had multiple shirts. This is one that I owned during school. Playing ball was what I loved and cared about. As long as there was a ball and competition, I was in! Basketball, Baseball, Football, didn’t matter Bring it! I was focused on being the best player that I could be. Looking back at some point in time not sure exactly when but probably around the same time that shirt got donated to goodwill is when my life no longer was a game. I was playing no longer. No more taking the shots of my dreams. I was sitting on the sidelines and not on the court. Thanks to the MASTER KEYS and its members and the Hard Work put in by Me I can say…. Today I AM taking the Shot of my Dreams! Focused on Playing the Game of My Life! For Tomorrow is no Guarantee! Talk about being introspective and inspirational ALL at once… Great blog with the most perfect analogy during NBA All-Star Weekend. I immediately smiled like a Cheshire Cat when I saw the basketball T-shirt before being equally enthralled by the baseball T-shirt. You are A-MAZ-ING!!! “Playing the game of my life” — Yeah, Darren! GAME ON. Woo woo team Darren!!! Wow. Nice memory of the shirt line. I recall lots of wisdom I wasn’t ready to hear. Thanks so much to MKMMA for putting the megaphone to my ear, and giving me a chance to meet greats like you!